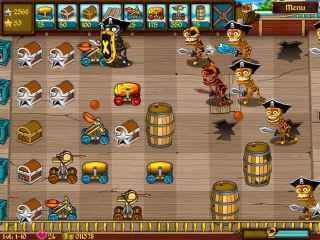 Free Download Skeleton Pirates Game or Get Full Unlimited Game Version! Get ready for the ultimate battle against vicious skeleton pirates. In order to get advantaged of playing Skeleton Pirates full unlimiteg game version you must register the game. Avast me beauties! Join the crazy, colorful Bird Buccaneers as they sail through the Caribbean on their exciting adventures! Defend Zuzu from the pirates! 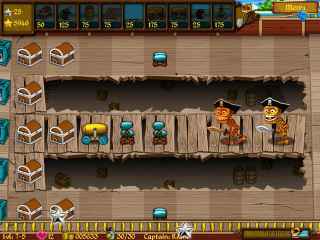 Find the stolen honey, and build a castle to protect your Zuzu family in Zuzu & Pirates!